My favorite is the one that was just announced recently announced—Pfizer and Allergan. Who knew these two large companies would combine to create one mammoth pharma powerhouse— “Pfallergan” (Thank you theguardian.com). Along with these M&As, come a lot of change: some obvious such as departmental reorganizations and others not so obvious such as the TMF. 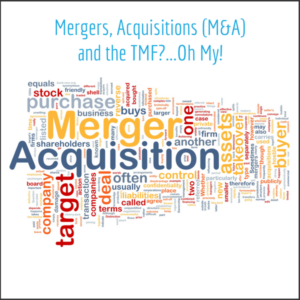 TMF “integration,” which is the term I hear most often, is one of the many outcomes of an M&A (this can also happen when one company buys another company’s product, divestiture or spinoff, etc.). I’m not 100% convinced that TMFs can actually be integrated after an M&A because the two companies follow different sets of SOPs, processes, etc., but for the purposes of this article, we’ll stick with “integrate.” It is imperative that Clinical Operations (they typically have the privilege of handling these TMFs) document and perform clear and precise Due Diligence for all integration activities. TMF Status determine if the TMF is paper, electronic or hybrid (my personal favorite). Determining the actual format of the TMF will help define next steps. Regulatory Submission will the study be included in a regulatory submission(s) and what is the likelihood of an inspection e.g., if paper, should the documents be scanned and uploaded electronically (if so, which system??) because they may be inspected. SOP Mapping: Compare and contrast the differences in the SOPs that were followed by the giving and receiving companies. Mapping the SOPs to each other will help define similarities and differences in their processes. Gap Analysis: Utilizing the SOP mapping document, perform a Gap Analysis—an essential step in the integration process. Were there critical processes that were not followed by the giving company? Are there potential issues that need to be documented (especially with ongoing studies)? Risk-Based QC: Select core/essential documents that are required for all clinical trials (suggest utilizing ICH E6) and confirm that these documents are present. If not, make sure clear documentation is in place explaining why these documents are missing. Clearly document any potential discrepancies and the corrective action plan (e.g., following up with a site in an ongoing study to collect an expired medical license). M&As can be exciting, scary and ultimately a lot of work for everyone involved. 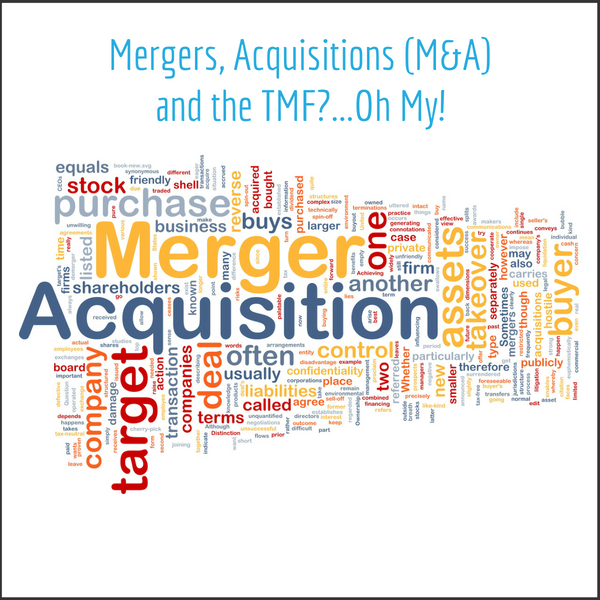 Integrating the TMFs is an important step in the overall success of the newly merged company. Ensure that you have the proper resources and processes utilizing the tips in this article as a guide to ensure successful TMF integration and to avoid potential issues in the future.